Foster care is providing a secure, safe and supportive home environment to children and young people who can no longer reside with their families. Children and young people enter into Permanency Support (Foster Care) for a myriad of reasons, but generally they have experienced a degree of trauma, neglect and abuse that required intervention and removal for their own safety and wellbeing. Foster Carers open their homes and hearts and assist these children and young people by providing homes with nurturing environments, that allows these children and young people to feel comfortable and supported so they can grow and develop in a happy and healthy way. providing vulnerable families with some time out to strengthen their parenting. Increasingly, the role of Foster Care will be to provide a safe and loving home for children and young people while more permanent arrangements are explored. This is Foster Care provided at short notice to children and young people on an emergency basis. Often children are leaving a critical situation and need a safe place to stay until they can return home or until a more suitable place is identified. The stay could be a few days or up to three months. Restoration is returning the child or young person to the care of their parents or legal guardians when it is safe to do so. Restoration Foster Care is limited in time, usually from a few months and up to two years. Restoration Foster Carers look after children while the parents work on the things that were making the children unsafe or until a court order is granted to have them cared for by permanent Foster Carers. Carers play a critical role in supporting the child or young person’s contact and connection with their family, as improved connections with birth families and significant others not only increases the likelihood and success of restoration, but can positively influence children and young people’s self-identity, cultural connections and experiences of family contact in care. Guardianship orders are a way of helping ensure a child or young person has a stable, nurturing and safe home until they are at least 18 years of age, without cutting ties to their family. The child will still have contact with their parents, family and important people in their life; however the child is considered to be in the independent care of their guardian rather than in Foster Care. Guardians can make decisions about the child’s care, including health and education decisions; and receive a Guardian Allowance which is the same rate as the FACS statutory Care Allowance. Adoption is a legal process that transfers all parental responsibilities for a child or young person from their birth parents to the adoptive parents. Adoption orders are made by the Supreme Court of NSW and provide a permanent family for a child or young person for whom restoration or guardianship are not possible. 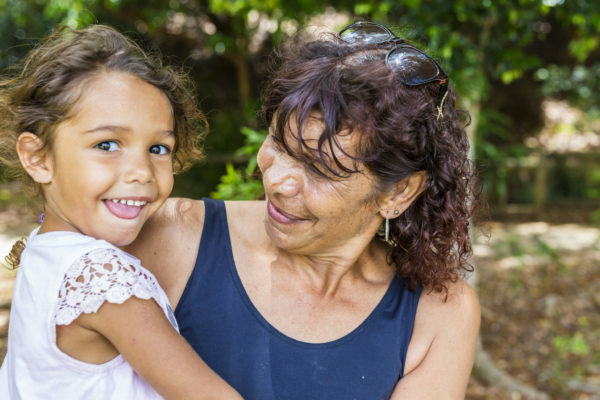 In NSW, ‘open adoption’ is law and means a child or young person must be supported to remain connected to their birth parents and cultural heritage. Long-term placement with a Foster Carer may be an appropriate way to provide children and young people with stability and permanency, where restoration, guardianship and open adoption are not options. The Foster Carers do not hold parental responsibility and the care of the child or young person is supervised by Veritas House. This involves care provided for short, occasional or regular periods stays (e.g. one a weekend or school holidays). It gives families a break and provides a positive experience for the child. Many Foster Carers begin their experience as carers by providing respite care. Respite Foster Carers are asked to make a commitment of 12 months. If you’re over 18 years of age, in good health and have a commitment to caring for vulnerable children and young people, you can apply to become a Foster Carer. Carers come from all walks of life, backgrounds and life experiences. You can be single, married or in a defacto relationship; renting or own your home; and working full-time, part-time or not at all. In particular, we welcome people from diverse ethnic or cultural backgrounds who are considering becoming a Foster Carer. Work as part of a larger team. Veritas House provides each Foster Carer with on-call telephone support 24 hours a day, seven days a week. This service is used for duty of care issues or at times of critical incidents or stressful situations. A support person will be available to speak with you and guide you through any issues that you may be having during or after normal business hours. Veritas House is committed to providing our Foster Carers with ongoing learning and development opportunities. Education and training can help Foster Carers understand what is going on for a child or young person in care and give ideas about strategies and solutions to improve their situation. At your Annual Foster Carer Review, Veritas will update your Foster Carer Development Plan to record any training you have attended and to note any additional education or skills you may need or want, taking into consideration the age and needs of the children and young people in your care at that time. Foster Carers spend a lot of time caring for others, but often don’t do enough to look after themselves, which can lead to ‘burnout’. Respite provides Foster Carers with some time out from the demands of the parenting and caring role, to prevent burnout and ensure stability for the child or young person’s placement. Respite also has benefits for the child or young person, as Case Workers can organise services or activities that interest the child or young person such as recreational camps, music classes, vacation care or after-school care. Your Case Worker or Foster Carer Support Officer will speak to you about planning respite care to suit your needs and the needs of the children and young people in your care. Planned respite also assists Veritas House to, where possible, utilise the same respite Foster Carer or contact worker from Veritas’ Non-Placement Support Service, so the child or young person can form a stable, positive relationship with them. Veritas House is committed to providing Foster Carers with a chance to network with other carers on a regular basis. The ‘Veritas House Kids in Care Network’ meets regularly to provide opportunities for Foster Carers to meet, connect, swap advice and build local support networks. Veritas House also runs regular Foster Carer picnics, morning teas and sports days, as well as having an end of year party where Foster Carers and young people can enjoy the festive season. Foster Carers, Relative and Kinship Carers are volunteers, so they are not paid a wage but instead receive a Care Allowance to help cover the costs of caring for a child or young person, including expenses such as food, clothing, hobbies, holidays, gifts and general medical expenses. The Australian Government also provides a range of other family assistance payments, concessions and rebates which Foster Carers may be eligible for. If you would like further information on becoming a Foster Carer with Veritas House, we would love to hear from you. Please fill out your details in the form provided and a member of our CART team will be in touch as soon as possible. Alternatively you can speak to our Foster Carer Recruitment Officer on 1300 01 1973.